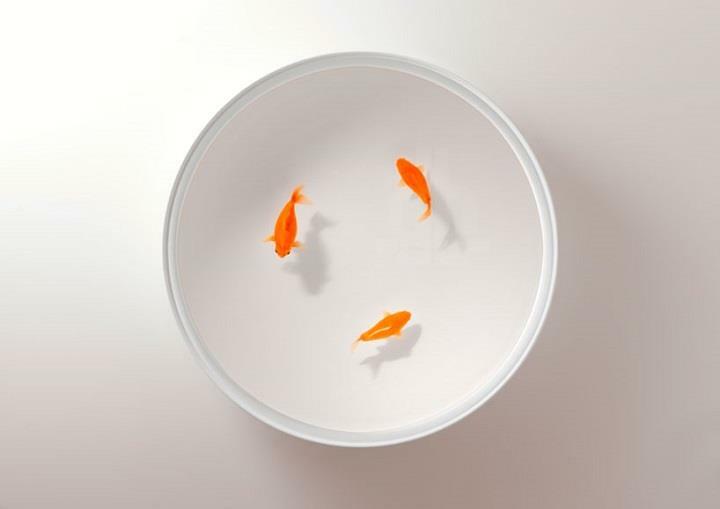 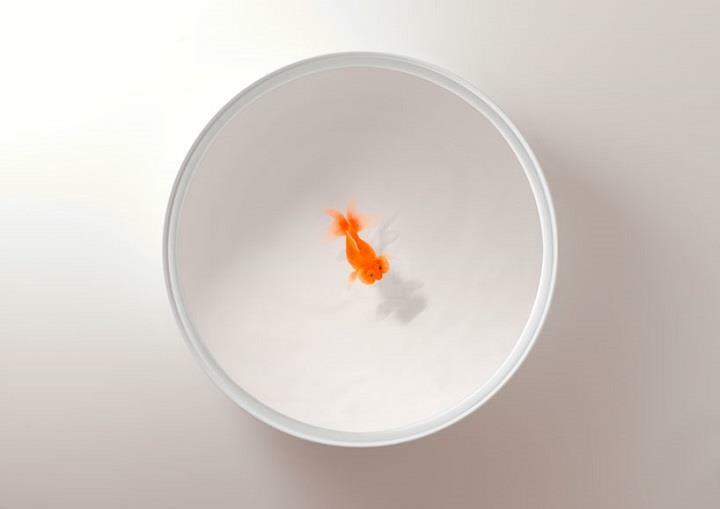 Spanish designers Ramón Úbeda and Otto Canalda have created “Up In The Air” series of stunning goldfish tables for Viccarbe. 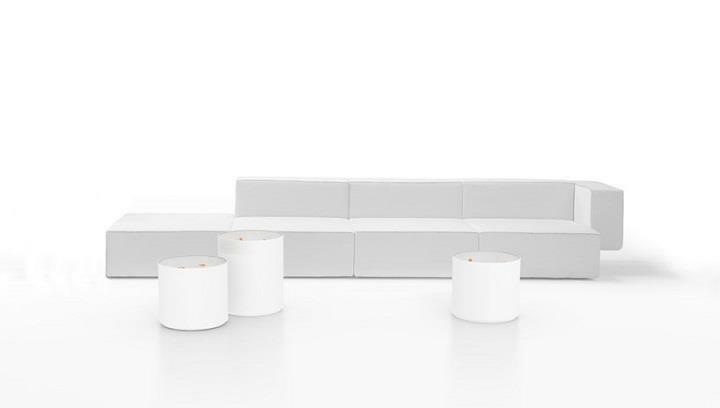 The white lacquered cylindrical forms are playful objects ideal for home and contract uses, which bring a bit of minimalistic fun to one’s interior. 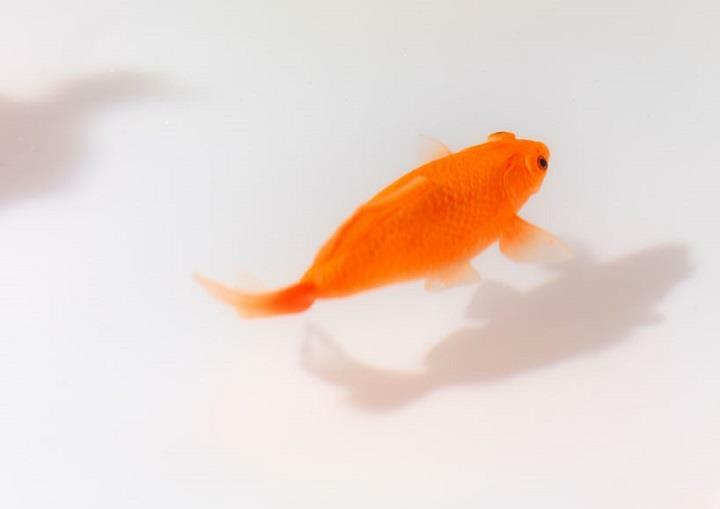 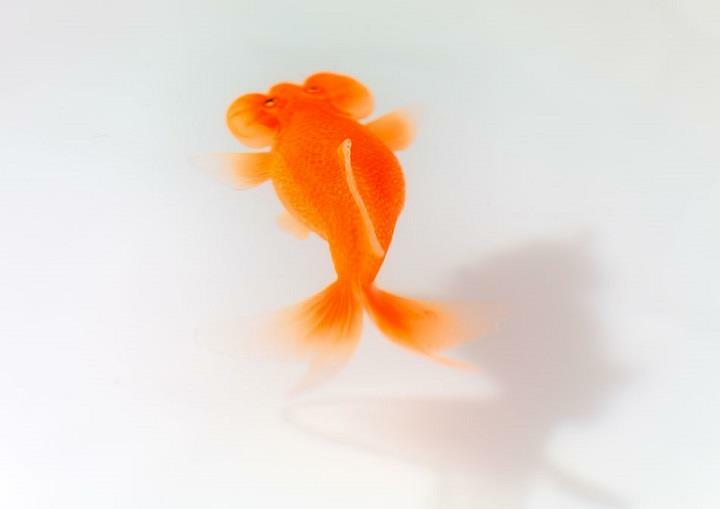 Each of the fish are handmade by Juanjo – once a fisherman, but now a sculptor of the underwater animals – who has produced detailed replicas specifically of goldfish that are sealed within an environment-friendly resin and protected by anti-reflective optical glass to complete each design. 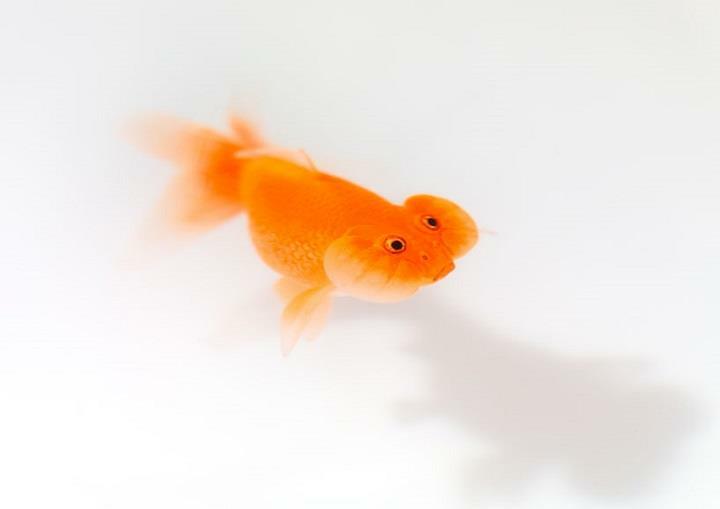 His hands can sculpt any fish with impressive realism. 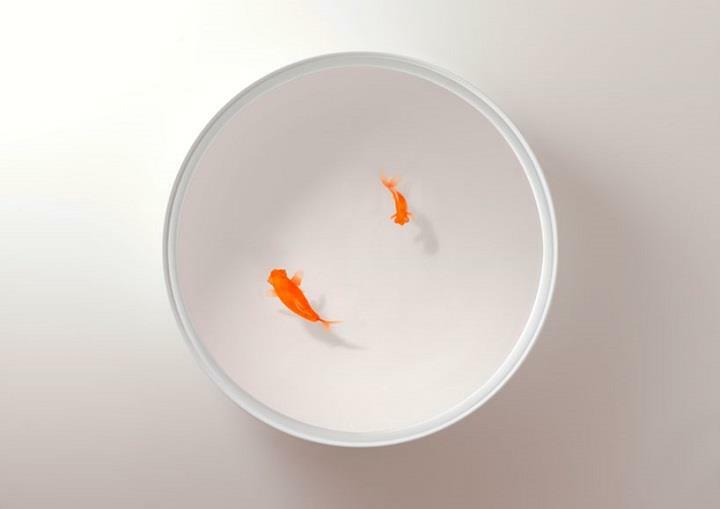 The hand-crafted fish appear as if they are swimming in the water, however, the table only gives off the impression that the fish are either swimming or floating. 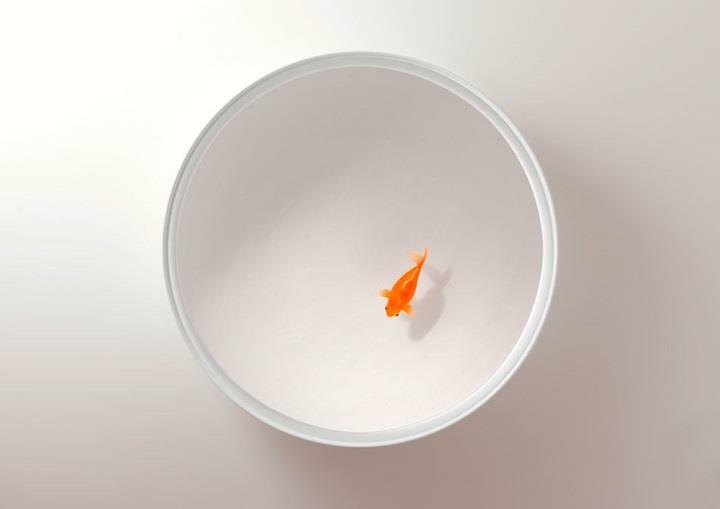 The silicone covering the Goldfish Table is protected from UV light in order to maintain the durability of the product. 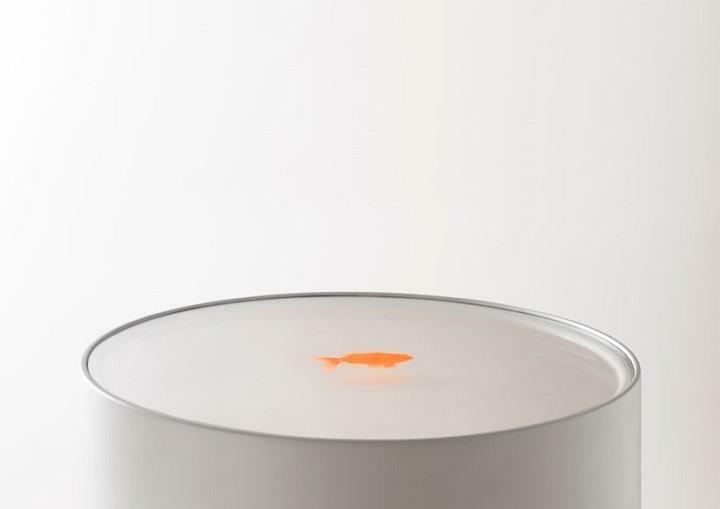 Also, to prevent reflective interference from the external environment, the table glass is made out of anti-reflective material.